K-DEER is well known for her famous Stripe collection. Kristine Deer made sure that every detail of these leggings is amazing. The design, the flattering fit, the comfort, the eco-friendly high-tech fabric and dyes with minimal wastage, the good working conditions and last but not least the charities that are supported with each sale. The K-DEER leggings all have a flattering high waist. They do not cut in anywhere and look amazing on all body types. Both on very tiny as women with curves. K-DEER is therefore available in a broad range of sizes. If we don't have your size on stock of your favorite design at the moment, please let us know, so we can order it for you. Because of the special inner inseam and the original K-DEER flat front seam, Camel-toes are history with K-DEER Stripe leggings. Furthermore, because of the special inner inseam, K-DEER could place the stripes even more flattering, whereby the stripes look amazing on all body types. A true flattering design! Each Stripe design is named after inspiring women. Women that have inspired Kristine Deer. Women tha have done great things. Special is akso the Alexis Stripe leggings that is dedicated to all women. 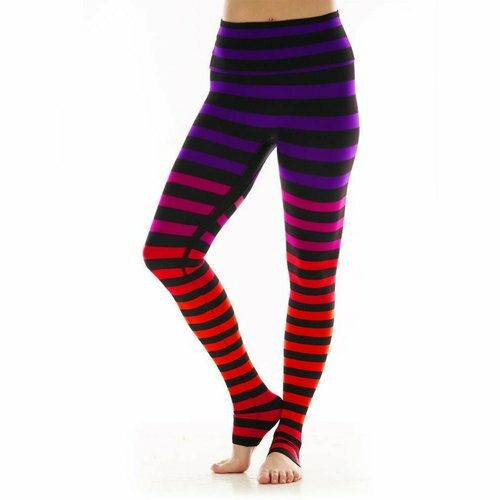 The Stripe leggings are therefore a beautiful way to express our gratitude and to inspire each other. 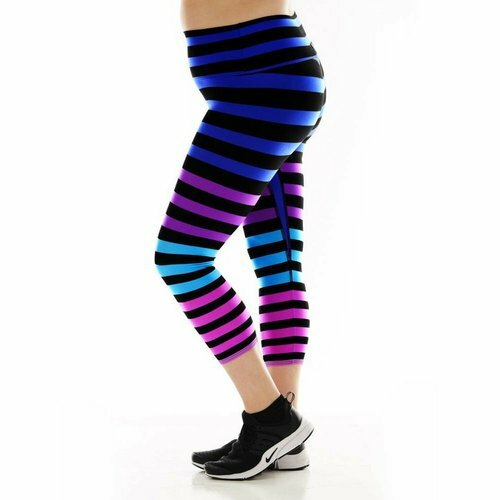 With each Stripe design, you will find described to who the legging is dedicated. 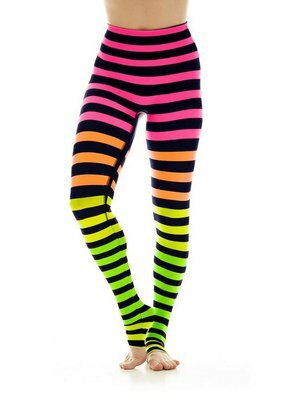 K-DEER contributes at least 5% of the proceeds from the Stripe leggings to good causes. To raise awareness and create positive change for individuals and communities in need. Each Stripe design is linked to a specific charity. At YogaHabits you buy the original K-DEER yoga clothing and therefore also support these charities, while you wear the perfect yoga legging by K-DEER. The more we practice yoga, the more we aim to take care of our environment. As for the milieu. And that everyone is treated 'fair', just as we would like that others treat ourselves well. K-DEER produces her complete yoga clothing line entirely in the United States. From the design, creating the fabrics, up to all stitching (and all statia in between). Eco-friendly produced dyes with minimal wastage. The leggings themselves are produced in New Jersey in good working conditions.